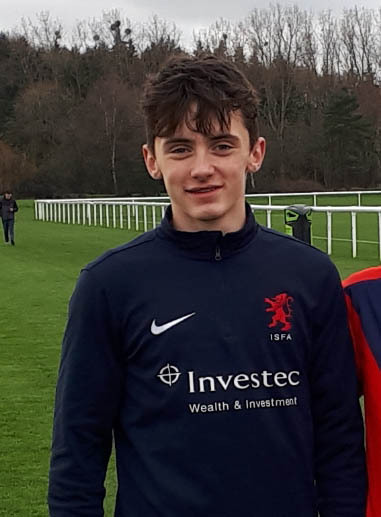 Y10 student, Will Couch was selected once more to play for the prestigious Independent Schools Football Association (ISFA) U15 National Representative squad. The team met in Surrey on the 18th December to prepare for matches against Brighton Academy on the 19th then Chelsea Academy on the 20th at their fantastic facility in Cobham, Surrey. ISFA beat Brighton 6-1 with Will once more scoring from his attacking midfield position. The tables were turned the day after however when ISFA held Chelsea to just 2-0 at half time but eventually lost 7-0. It was a great experience overall and Will is next representing ISFA in February, playing against Burton Albion. This is in preparation for a 2 day tournament at St George’s Park, which is the training centre for the England team and where ISFA will play premiership academies.